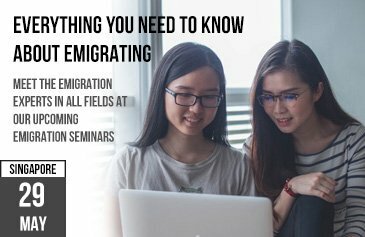 The Australian IT Sector has witnessed a real boom in past years and Australia has a critical need for both specialist and generalised IT and ICT professionals with areas such as font and back end web development, software engineering project management being ‘red hot occupations’ in terms of Immigration. Are My IT Qualifications Valid in Australia? Every Profession, Occupation and Trade must undertake and Australian Skills Assessment as part of their overall migration process and with over a decade of experience in successfully migrating IT Professionals to Australia, they will assume responsibility for a positive skills assessment from the Australian Computer Society, immediately upon engagement. How Can Australia Made Simple Help Simplify the Australian Migration Process? Australia Made Simple will work with you to help make your migration dreams come true. Our experience and broad scope knowledge of the IT Immigration process means you will have the best representation as you face the legal complexities involved in securing your Australian Visas. So, what are you waiting for? Take our free visa assessment today. Our experts are at your disposal for a full and frank ‘deep dive’ consultation.